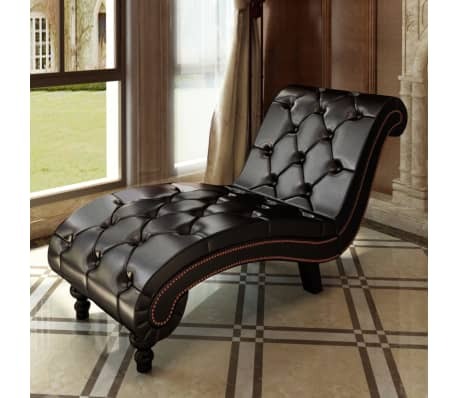 This elegant brown chaise lounge will be a great addition to your bedroom, living room or lounge. Thanks to the ergonomic scroll design, the chaise lounge is very comfortable to lie on. 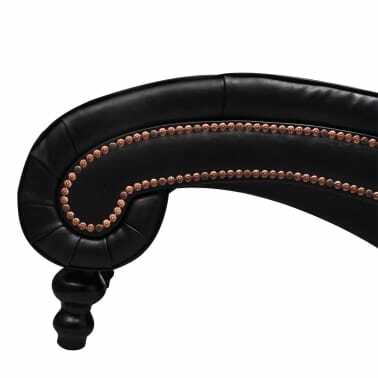 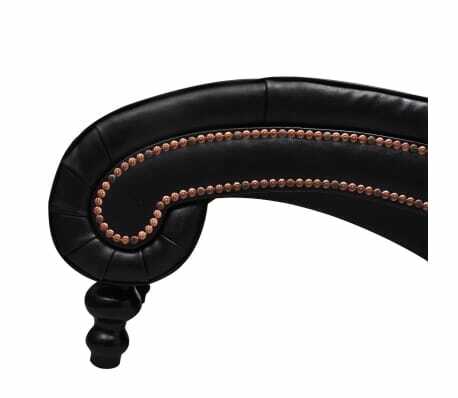 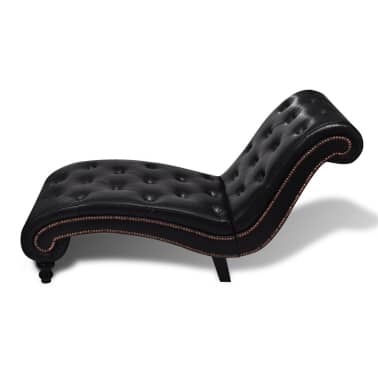 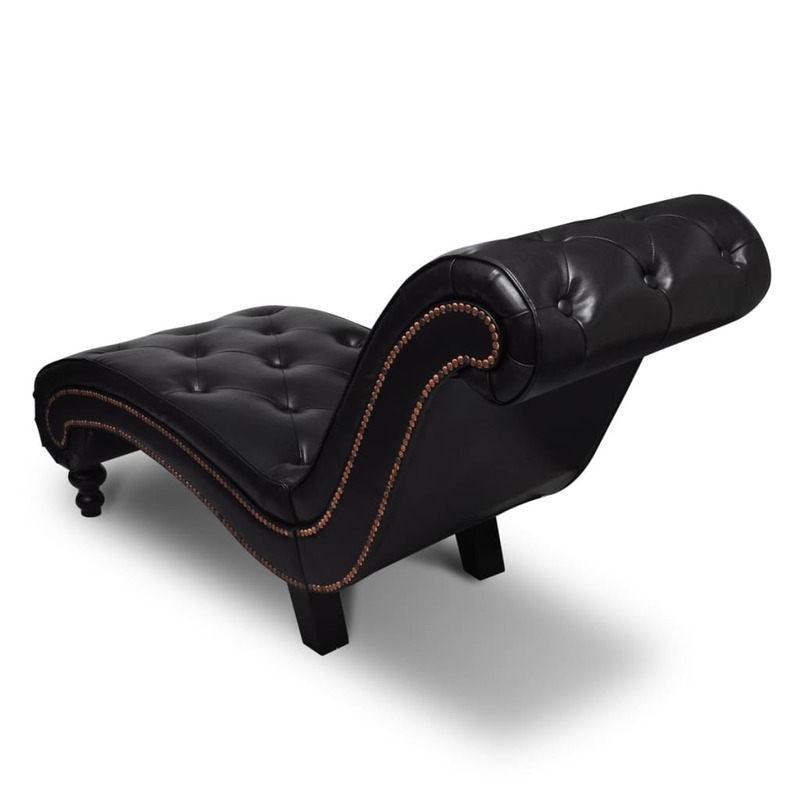 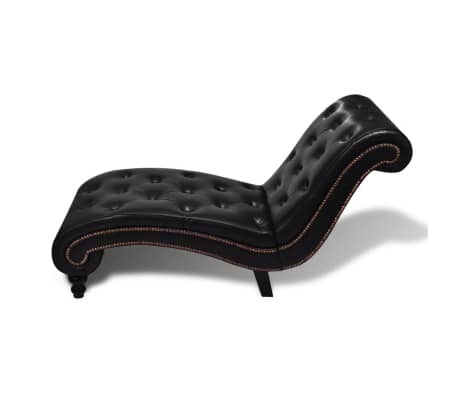 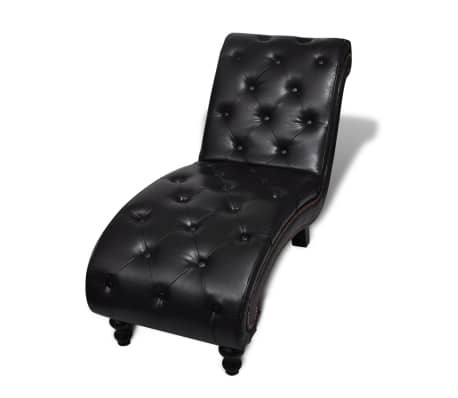 It features beautiful button-tufted detailing and stable legs. 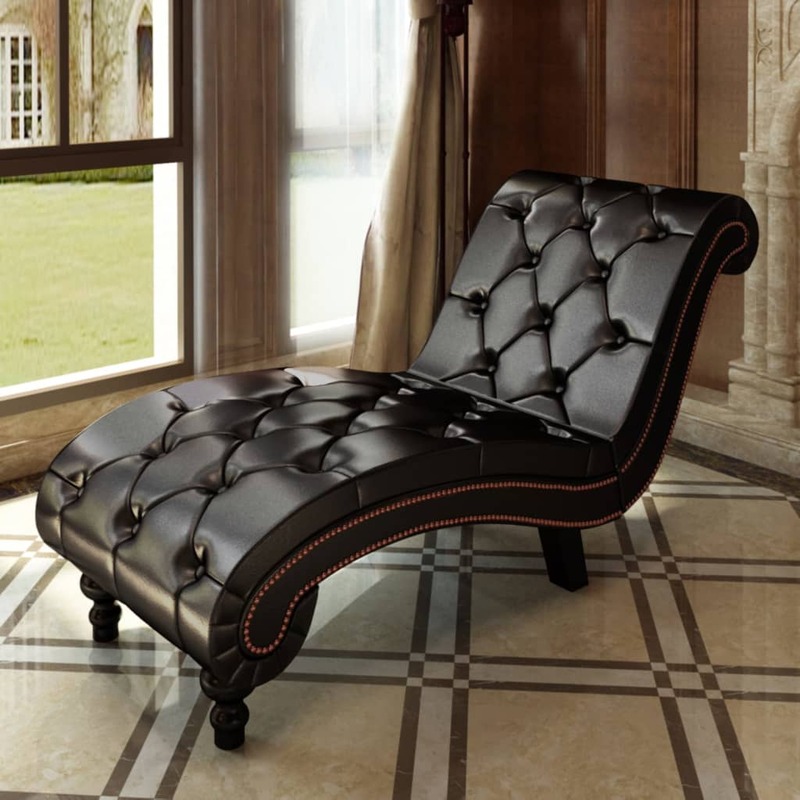 Made of soft artificial leather, the lounge provides extra seating comfort and is also easy to clean. 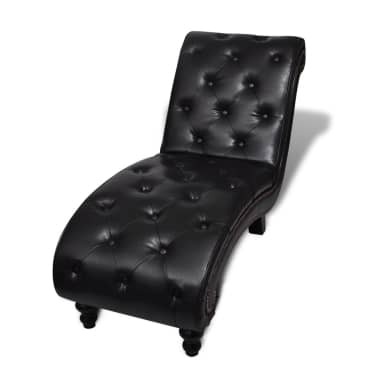 Our fully padded contoured chaise lounge will bring charm and elegance to wherever it goes.